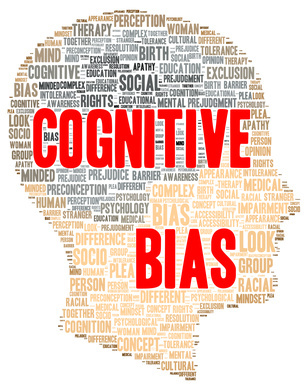 Are you familiar with the term cognitive bias? A cognitive bias represents an error in reasoning or decision making when you disregard accurate information in favor of your subjective preferences and beliefs. In other words, you exhibit a cognitive bias when you “go with your gut” rather than more objective information. Taken to an extreme, cognitive biases can lead you into bankruptcy, or can prompt bad choices when you are in bankruptcy. Here are some examples. Obviously, your financial capacity to pay a car note or mortgage in the future has nothing to do with what you have invested in that item in the past. Either you can comfortably afford your purchase or you can’t, and if you are contemplating bankruptcy you should fight against the sunk cost fallacy. There is an old saying “don’t throw good money after bad” which is the correct frame of mind if you are struggling with a sunk cost decision. Has a Slick Salesperson “Framed” You? Another cognitive bias I see frequently is called the framing effect. This occurs when a salesperson offers selective facts to induce you to make a purchase you really don’t need. Time share salespeople use the framing effect to convince you that you will save tens of thousands of dollars on your vacations by buying a time share in Orlando or Myrtle Beach as compared to the cost of staying in a hotel for a unique vacation every year. After the purchase, of couse, you discover that maintenance fees and one time assessments eat up your savings, that you probably won’t want to go to the same place every year, that the weeks you can “trade” don’t fit into your schedule, and that there is absolutely no market to sell an unwanted time share. Even if you can use the sunk cost fallacy to try to justify your time share purchase, I challenge anyone to argue that two or more time share accounts make sense – but I see struggling families stuck with multiple time shares all the time. Water purification systems, solar panel installations and carpet shampooing systems are often pushed by aggressive salespeople who use the framing effect to convince customers to spend money they don’t have on services or products they don’t need. There are many more cognitive biases identified by psychologists but you get the picture. Everyone falls prey to lapses in judgment. We all rationalize wants by characterizing them as needs and if we are talking about a $100 pair of shoes vs a $50 pair, not much harm is done. But if you can’t pay for necessities like food, clothing and shelter because your disposable income is paying for housing or transportation that you cannot afford, or for non-necessities like a time share or a water purification system, it may be time to talk to a bankruptcy lawyer. Bankruptcy can get you out of bad deals and undo poor decision making. More importantly bankruptcy can help you regain your peace of mind and can help restore peace in your family.